Those lucky enough to attend Prince’s Australian concerts earlier this year will have no doubt been seduced by the charms of 22 year old British soul singer Delilah. She first appeared on our radar as the feature vocalist on Chase & Status’ single ‘Time’, but since then has toured with Prince, scored a top five UK placing with her debut album and is well on her way to becoming a bonafide star. With a mum who was involved in the MOBO Awards and a father who was a DJ, was there really ever any hope of Delilah heading in any other direction than a music career…? We plonked down with the songstress over lunch to find out. “Of course! This kind of came as a surprise,” she tells us. We don’t quite know what to make of her admission so we delve a little deeper. “I swear to god. I’m not going to lie – it was my dream, but not many people get to live their dream, so instead of killing the dream, I kept the dream in a little dream box and went and did something that I could actually make a reality. Then before I even got the chance, it just happened and I grabbed it and have been working my arse off ever since,” she says. Delilah’s real name is Paloma Stoecker, but because of that “other” British pop star with the same given name, the option to use her real name for her own career was apparently off the table. The singer tells us how the name ‘Delilah’ came to be. “Delilah is my great grandmother’s name,” she reveals, warmly. “I love it. I do like it – it’s grown on me. I have known my nan all my life – I’ve had a lot of time to like it. But for myself, it’s grown on me. I don’t see a wrinkly old lady anymore in my head when I say the name. Paloma Faith being a UK artist… It was very very complicated and confusing for everyone, even though there are a lot of people with the same name in the world. But apparently two UK pop singers with the same name… Not happening. I mean, if we were both called Sarah I’m sure it would have been much easier, but both called Paloma, people couldn’t seem to function. “They (the record company) did the suggestion thing. They did the ‘oh your career’s over if you don’t change your name’. The subtle suggestion… ‘You’re doomed. You’ll never sell a record if you don’t change your name’. So I wanted something that was still familiar, so ‘Delilah’ – just the one word,” she says. Of course, the name ‘Delilah’ also presents an opportunity for journalists to awkwardly reference the iconic Tom Jones track. Not that that happens much… Right? “All. The. Time,” she blurts. “And now he’s doing the UK ‘Voice’, so he’s not even someone who’s not relevant anymore. Not that I’m saying that he WAS irrelevant – let’s not quote that – but now he’s like the Welsh god again and it’s all over TV and so yes… everywhere I go. And I get ‘hey there Delilah, what’s it like in New York City?’ (alluding to the Plain White T’s track ‘Hey There Delilah’). It’s not funny or even original! The joy it brings to people… I want to say ‘do you want to say it again? ‘Cause I’m going to leave now’…,” she laughs. Delilah’s discovery was virtually by accident. 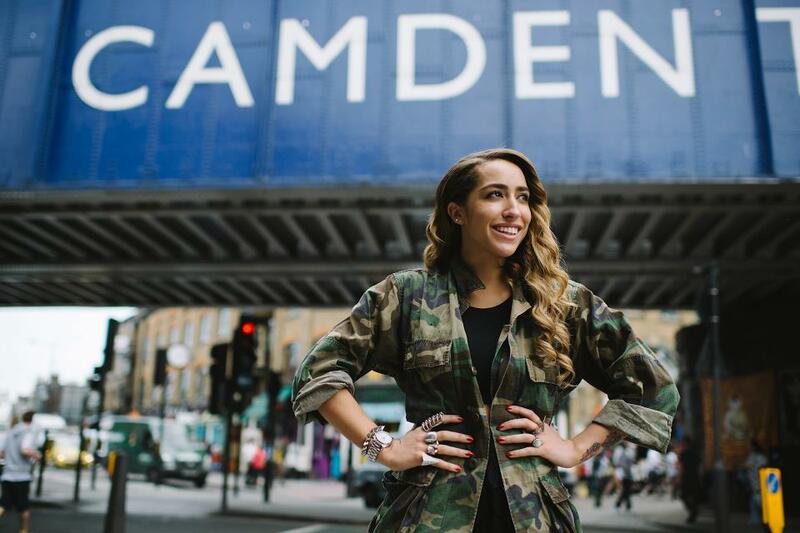 As part of a Music Performance course at college (“I did a course that involved music because I had a terrible attendance record, so I needed something that made me go,” she says) Delilah needed to fulfil one particular criteria. The rest, as they say in the classics, is history. “I wasn’t doing the rounds, I wasn’t doing the demoing, I wasn’t playing bars and clubs. Since then I’ve had to DO the rounds and play in bars and clubs and learn to do my jazz hands. But I was just a teenager – just normal – like everyone else, in college, studying. “One of the things I had to do was record a piece of original music, so I went to Tottenham and paid a guy in the urban underground scene some money to record me in his studio. He sat there, recorded me, made me sound awful if you ask me, produced me up ‘til you couldn’t hear my voice anymore. Someone from a radio station had told a label and then they called me. It was Island Records and they said they’d like to meet me,” she bubbles. Delilah’s subsequent collaboration with Chase & Status came through her new record label home at Atlantic Records. “Chase & Status weren’t mainstream at the time and when I met them, they’d had their first record which had been good, but not commercial in any way,” she explains. “They were just about to start their second one and were telling me all their ideas. We wrote 20 songs together, one of which was ‘Time’ with Plan B. Again, six degrees of separation, same label – everything just worked. Then I went on tour with them and it just kept rolling on. When asked if she’d like to do more of these kinds of collaborations in the future, Delilah tells us it’s not likely. Apart from the Chase & Status collaboration, the first we’d heard of Delilah in Australia was her brilliant ‘Go’ EP, released towards the end of 2011. Soulful and brooding, the stunning title track featured a sample of Chaka Khan’s iconic ‘Ain’t Nobody’. The songstress tells us that the single came about quite organically; quite late at night. “Next day, my phone was going off. The record company were saying, ‘We LOVE your song!’ So it stuck like that. We recorded it exactly the same – obviously we got the clearance from Chaka Khan, so I wasn’t going to be sent to prison,” she giggles. Rumour has it that Chaka herself is a big fan of the track. Someone who clearly does think Delilah is amazing is pop superstar Prince, who chose her as the support act on his ‘Welcome 2 Australia’ tour earlier this year. She tells us she was honoured to be able to spend so much time in his company. Delilah also hints that we’ll be seeing her back on Australian soil sooner rather than later. “Definitely your summer,” she teases. “I say ‘summer’ because I can’t actually pinpoint when summer ends in the UK and when your summer starts. I don’t really listen because I’ll just wait until it happens, but I’ve heard a lot of talk about me being in different festivals down here and that’s really exciting to me because I’m a festival junkie. Then I guess we’ll see after the album if anyone wants me here! Hey, I may not be able to come back after I release the album!” she jokes. ‘From The Roots Up’ is a collection of a dozen new soul classics, all brought together to best be enjoyed as a complete body of work. Delilah tells us that she had more than 250 songs to choose from in her quest to make her debut perfect. But the choice wasn’t easy. “I made a lot of different versions. I tossed a coin. No, I didn’t,” she laughs. “That would be really irresponsible of me, wouldn’t it? They narrowed themselves down and it was really about the body of work. I wanted it to sound like an album, even though iTunes really don’t give a crap about albums. I put all this work – you know how many songs I had? I’ve got 12 now and you’re bloody going to give each one away separately!? That’s annoying. But yes, they seem to fit together as a piece of music. Delilah is extraordinarily personable. She may dress more like a superstar these days, but it’s clear that at heart she’s still very much her grandmother’s girl. She’s warm, friendly, intelligent, charming, humorous, more than a little cheeky and certainly knows how to light a room. And her final sales pitch to get you to invest in her album seemingly draws on each facet of her character. “There’ll be a bit of singing on there. I will definitely make some appearances on it,” she laughs. “Something old, something new, something blue. 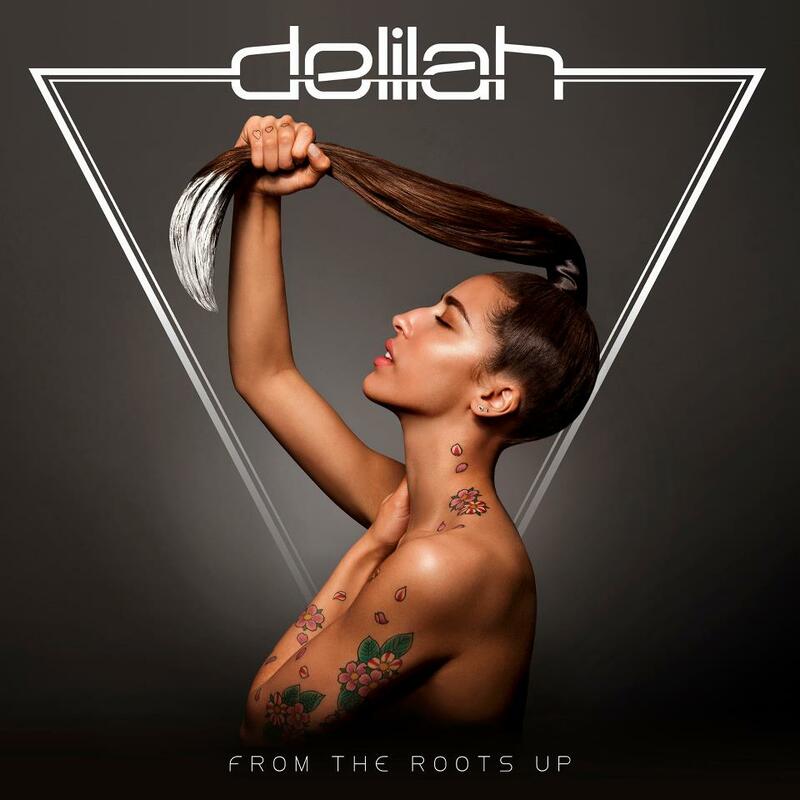 Delilah’s debut album ‘From The Roots Up’ is released in Australia today. NO WAY! You interviewed Delilah! I had the album shipped from UK I was too excited. Love her!